Back in 2009 when the idea for Blogalicious was conceived, the idea was to bring together women bloggers of diverse ethnic backgrounds to connect and share their experiences of being bloggers in a blogosphere where, at the time, was heavily biased towards a handful of blogging “rockstars.” The secondary goal was to show brands that by overlooking the multi-cultural digital niche, they were missing out on crazy opportunities. The inaugural Blogalicious Weekend accomplished both of those goals and we were elated – what we didn’t expect was for a tightly knit community to be formed and for the brand to signify a movement; one that bloggers and brands were clamoring for. I’ve said it 1,000,000 times if I’ve said it once: Blogalicious is a platform to celebrate and lift up the talent and passion that lives in our community. If we can serve as a vehicle to promote or support your blog, brand or business, we’re going to do it. Period. It’s not about your traffic or your resume or who you know – being Blogalicious means to be genuinely passionate about your relationships, your work and your passions, rooted in social media, and to live that passion. The mission of Blogalicious is to celebrate diversity in social media. 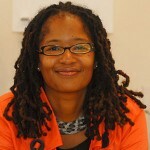 Blogalicious achieves its mission through community building, on and offline; providing tools and training to facilitate entrepreneurial and technical skills growth within the social media space; raising awareness within the marketing space of the powerful “multi-influential” demographic; and serving as the face of multicultural women online. To @Beblogalicious means to be bold, brilliant in your authentic expression. Be positive. Be supportive. Be a social do gooder. And we’re not stopping here. We’ve got big plans for our Blogalicious community – and that means: making your voices the go-to voices for multicultural influencers online; connecting you with the resources to realize your ideas and grow your businesses; and to serve as a catalyst for social change. Big dreams, yes? But we know we can do it. After all, we are Blogalicious. Timely piece. I was just sharing with someone how I feel like I’m outside looking in with my niche. Alas, I press on. :-) So grateful for the blogalicious community and your efforts to shine a light on us. I’m also excited about BeUplifted coming back! Loved it last year! Hi Justice Fergie and the BeBlogalicious.com Community! Just wanted to give a quick testimony about the power of Blogalicious. It is an amazing community, conference, and social media platform that offers continuous blessings in content, connections, creativity,and so much more. Thank you for the shout out. I enjoyed reading the other comments too. 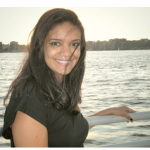 Blessings, Ananda, a proud Blogalicious attendee and supporter since 2009…. PS: Be Blogalicious and bold in all you do! Register for the 2012 conference. See you in Las Vegas! You just summed up why I’ve been coming to Blogalicious since 2009. The conference workshops are innovative, relevant and inspiring. The community that attends is supportive, warm and exciting. It’s a conference to play with new ideas and to connect with like-minded people. What you give of your time and openness, you get back many times over with support and love. Come to Blogalicious 2012 because I can guarantee that Vegas will never be the same! Thanks for the lovely comments ladies! 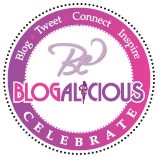 You all are what makes Blogalicious so special. And Tamara, WE are going get you on the INSIDE!! !